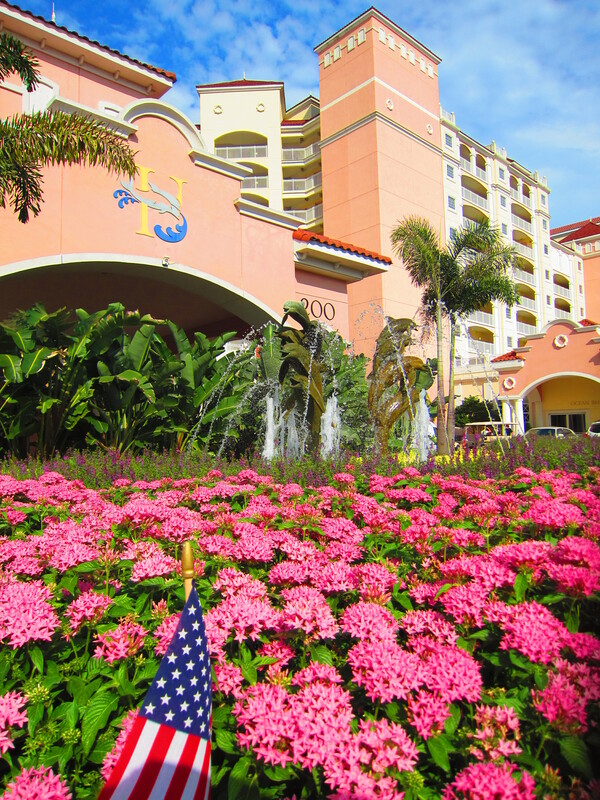 Welcome to Hammock Beach Resort! Some of the best decisions are made on a whim. And that’s the case when we bid for a vacation package to Hammock Beach Resort in Palm Coast, Florida using the travel website Luxury Link. After winning the auction, we waited for a few days for our dates to be confirmed, and voila! We were on our way to Northeast Florida to celebrate 4th of July. 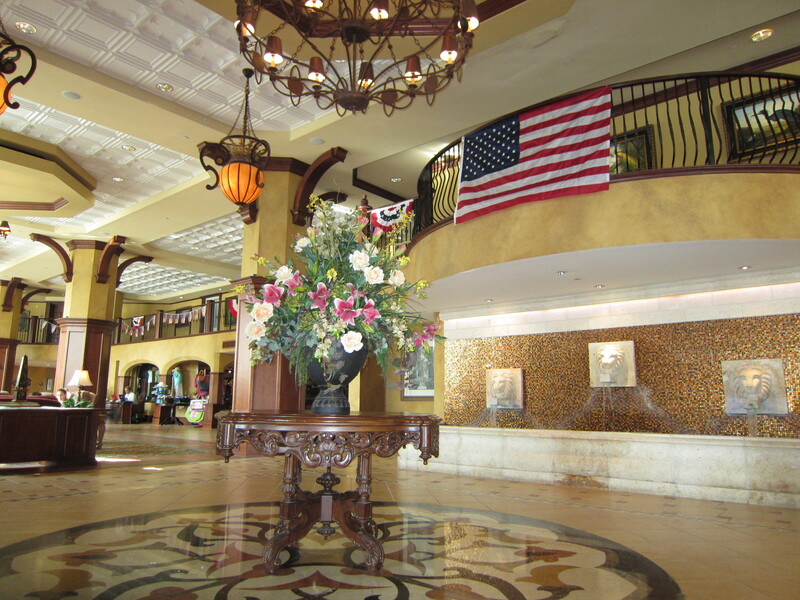 Since the resort also doubles up as a private club, all guests have to enter through a security gate. We told the gentleman at the gate that we had a reservation, and he let us in without any problems. We valet parked our car, and proceeded to check in. 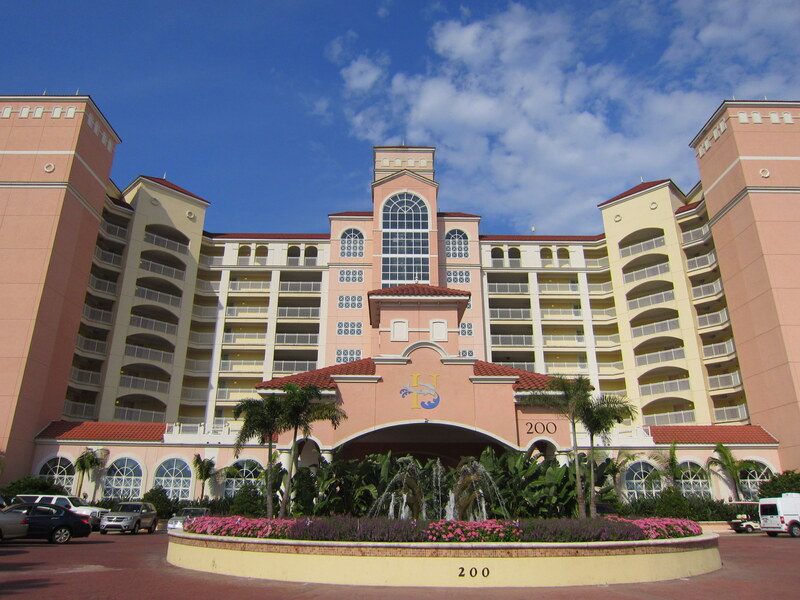 The young lady who helped us did not have much knowledge regarding the package that we bought from Luxury Link, so she asked the manager to help us sort through the resort credit that we would be getting during the length of our stay. They were both very eager to make us feel welcome, and before long we were handed the keys to our room. 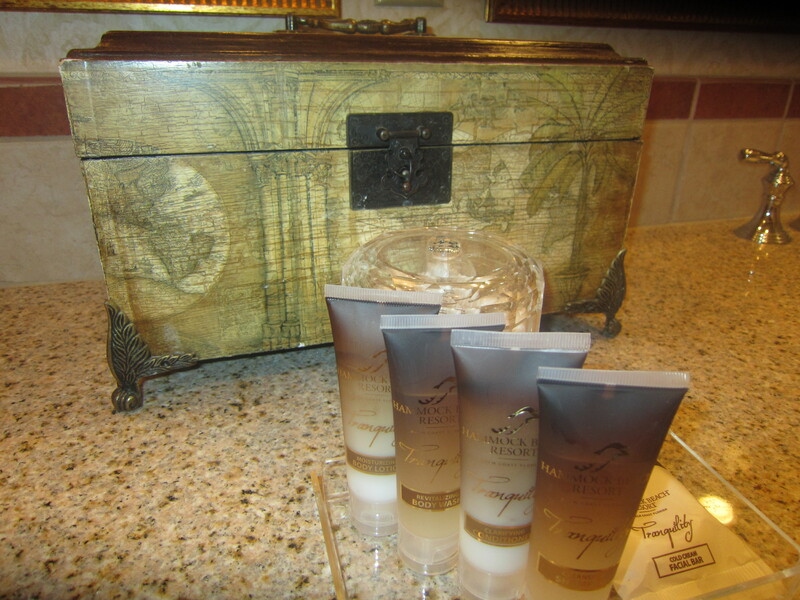 At a glance the decor reminds me of two other properties that we have been to: The Sanctuary at Kiawah Island Golf Resort in South Carolina, and the Ritz-Carlton Key Biscayne in Miami. The only thing that’s missing is the grand staircase. 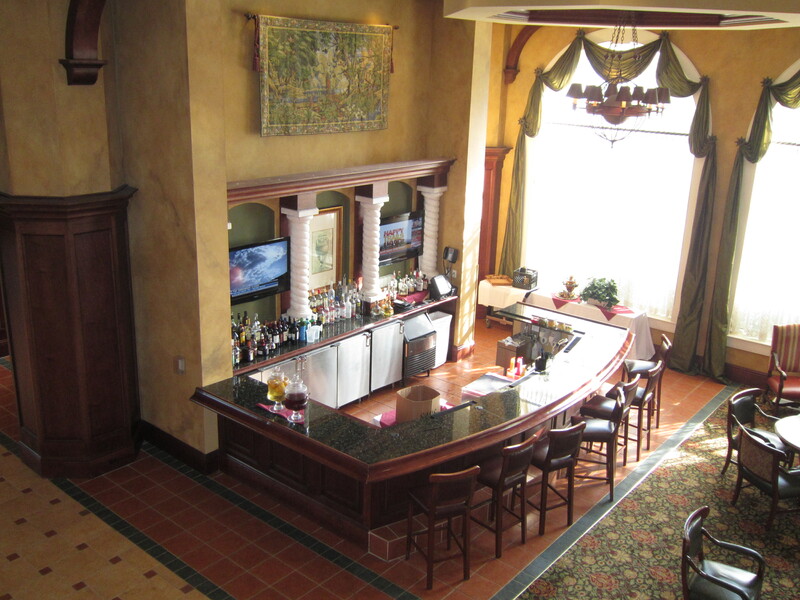 When you enter the main building (tower), to the right you will find the concierge desks, a sitting area, and a bar. 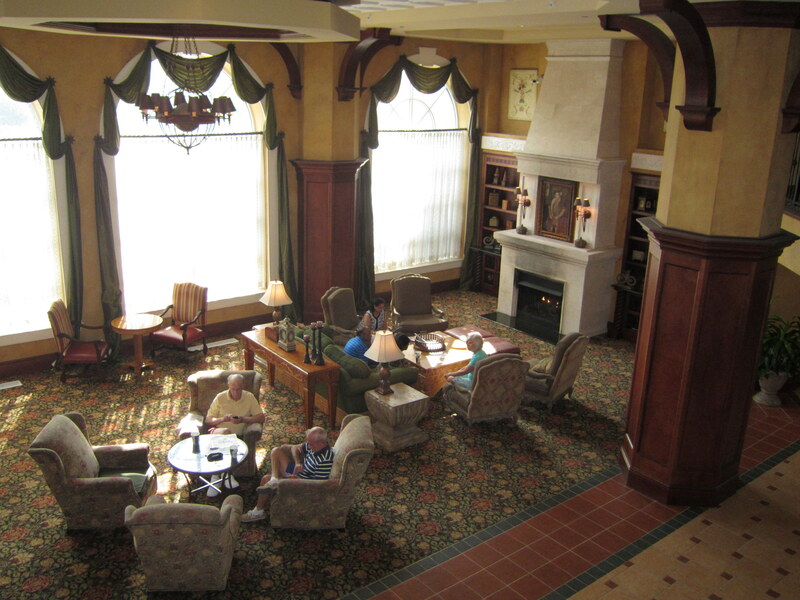 To the left there’s a fireplace surrounded by over-sized comfortable chairs. 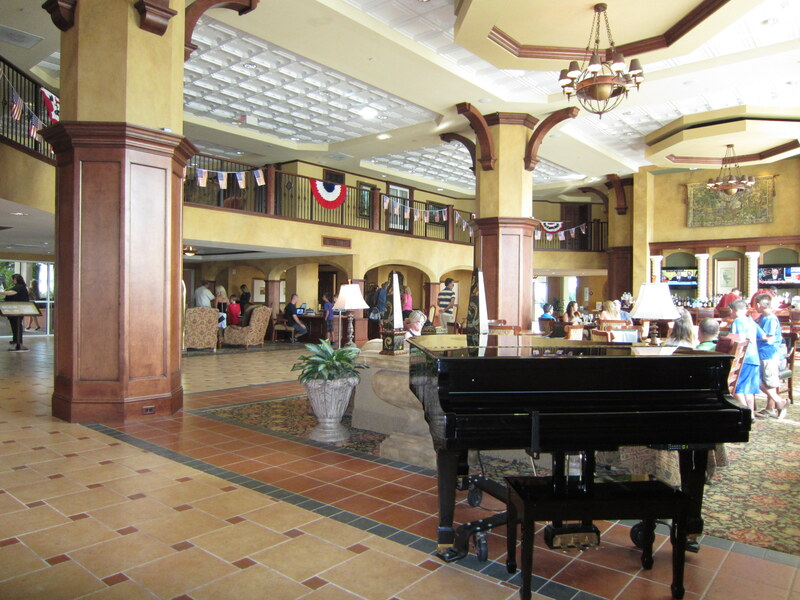 Another section of the lobby area. Here you can get cozy right next to a fireplace. 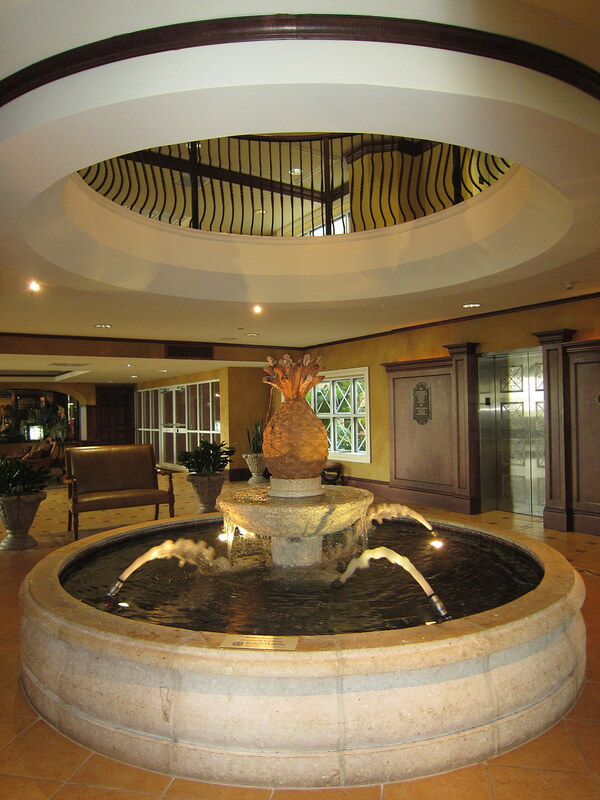 We also noticed that there are quite a few water fountains interspersed throughout the resort. 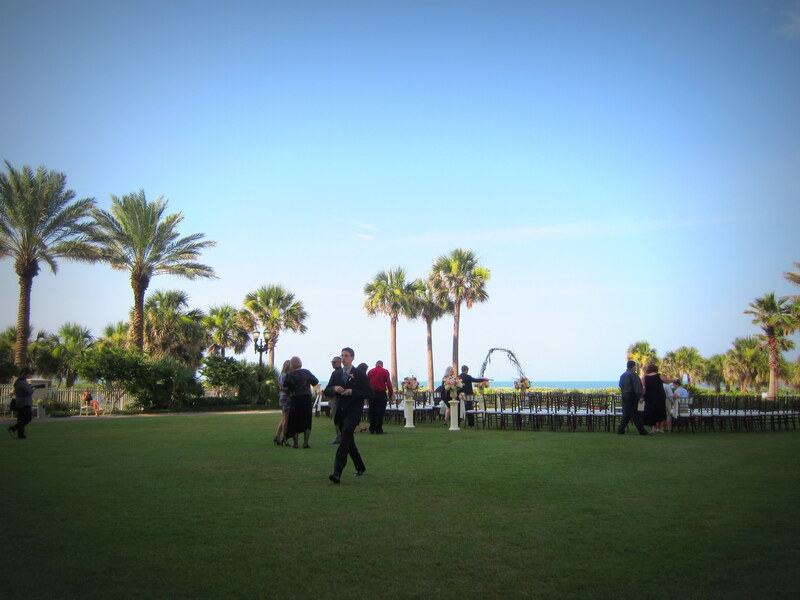 The grounds of Hammock Beach Resort is expansive. 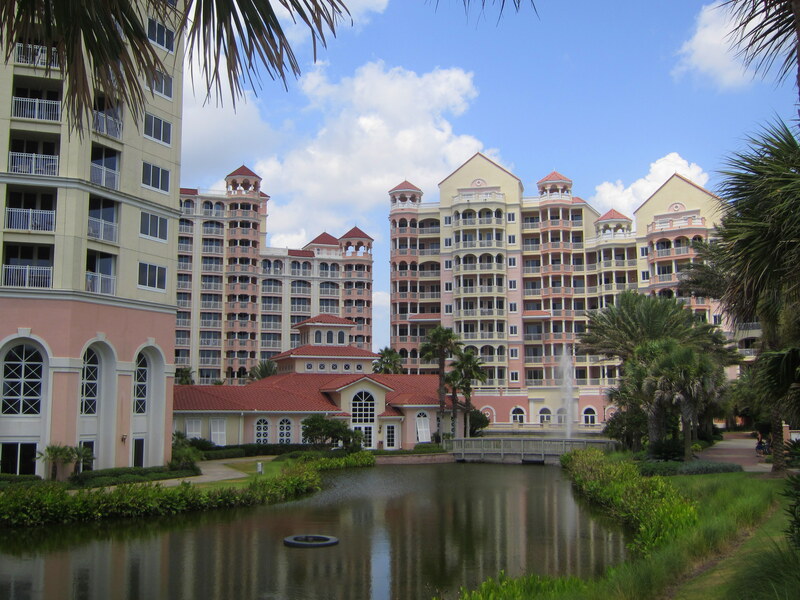 In terms of accommodation, they are divided up among 7 different buildings: Main Tower, Ocean Tower, The Villas, The Lodge, Yacht Harbor Village, Cinnamon Beach, and the Marina. 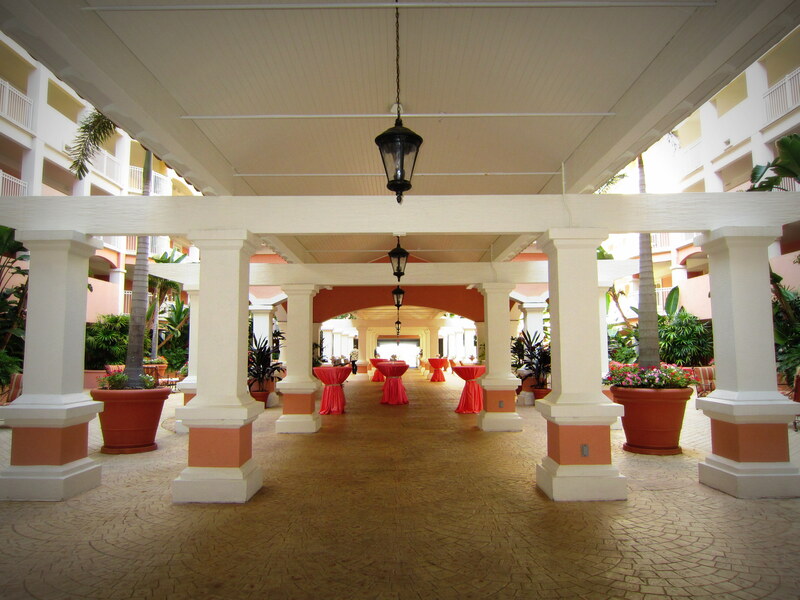 Once you exit the back side of the Main Tower, you will walk through a nicely landscaped courtyard that will lead you to all of the resort’s amenities. We never got tired of strolling through the courtyard. The reward for doing all that walking is a spectacular view of a beautifully laid-out lawn and golf courses by the ocean. 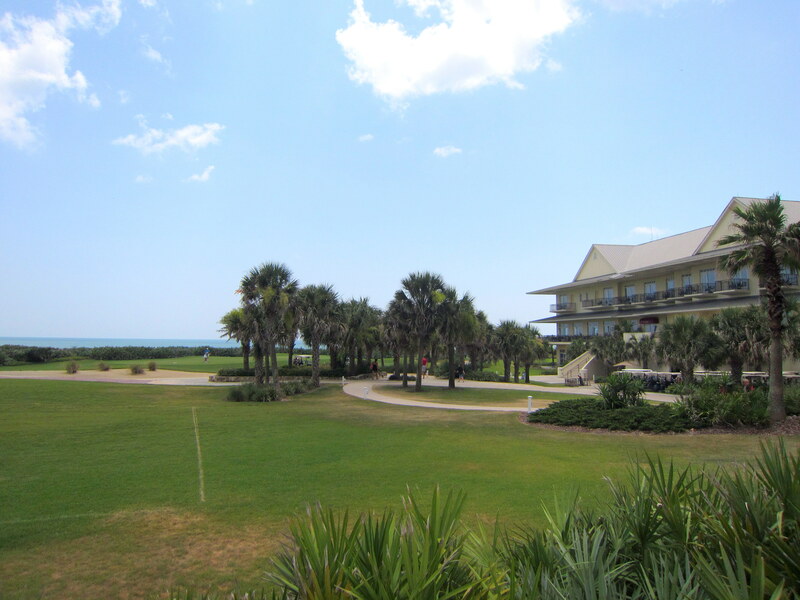 Golf courses by the ocean. The building that houses the Atlantic Grille restaurant can be seen on the right hand side. Speaking of golf, here you will find not one, but TWO Signature design courses by Jack Nicklaus and Tom Watson. Ah, there are so many things to do and choose from at Hammock Beach. And of course, that includes trying to figure out which restaurant we should try for our first meal at the resort. 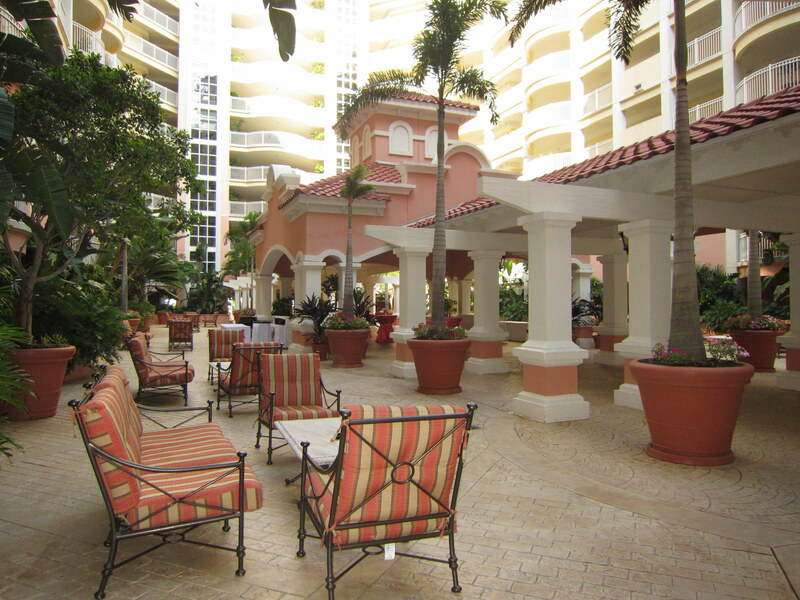 Not wanting to miss out on the ocean views, we decided to dine at the Atlantic Grille. The host seated us by the windows, where we could gaze at the blue water while enjoying some Fish-n-Chips and a BBQ beef brisket sandwich. We even returned that night to have dinner, this time sitting at the outdoor patio while admiring at the biggest and brightest moon. 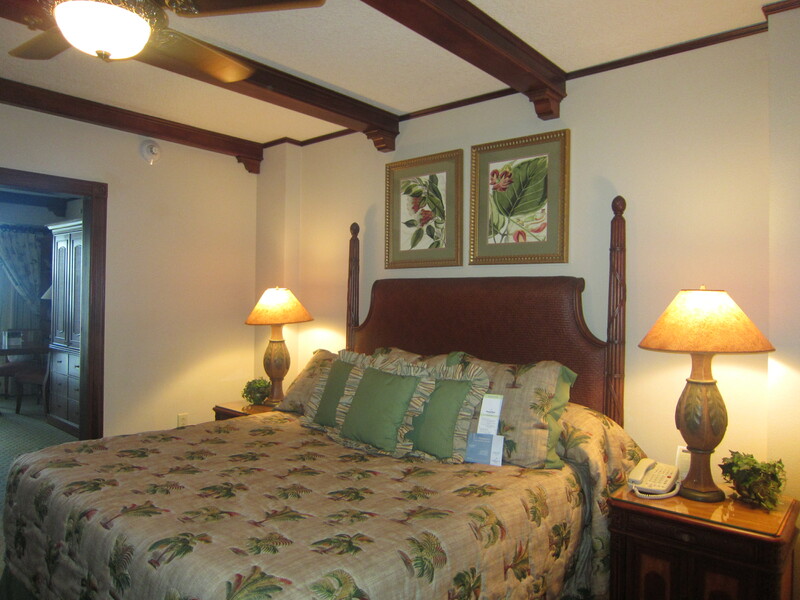 Back in the Main Tower, we searched for our one-bedroom suite that is located on the second floor. Yes, I really do mean it when I said “searched” for. We walked up and down the hallway, opened every door that we thought would lead to our room, up and down the staircase, and we just couldn’t find the right number. We almost gave up and declared that our room did not exist. However, Johnny decided to enter yet another unmarked door, navigated through a dark hallway covered with well-worn carpet, and there it is! Phew! Who would have thought that it would be such an adventure just trying to get to our suite. Once inside, we were actually pleased with the unit itself. It has a kitchenette, the bathroom is quite luxurious, and most importantly, there is a balcony where we could peek into the ocean. The bed sheet did have some stains, but I was quite prepared and brought extra sheets and covers from home. Our favorite part of the unit! 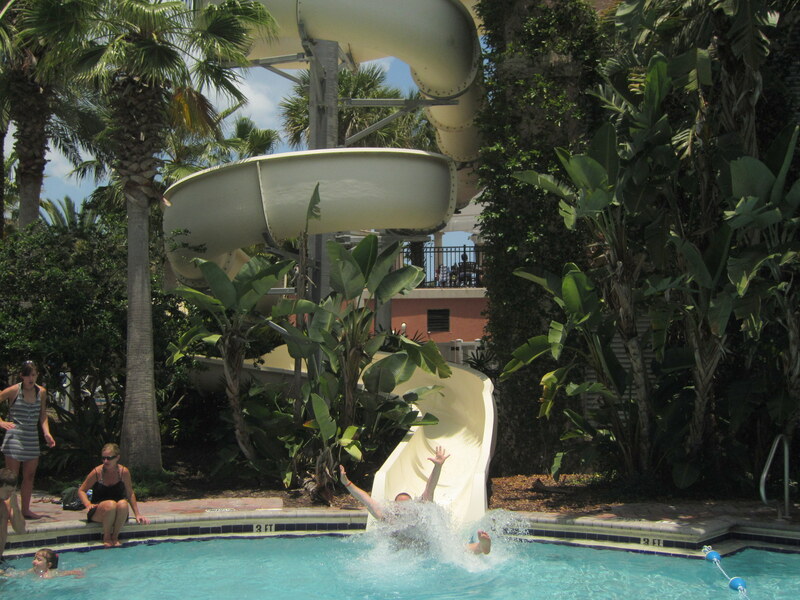 The next day, we spent the majority of our time at the beach and at the pool complex. 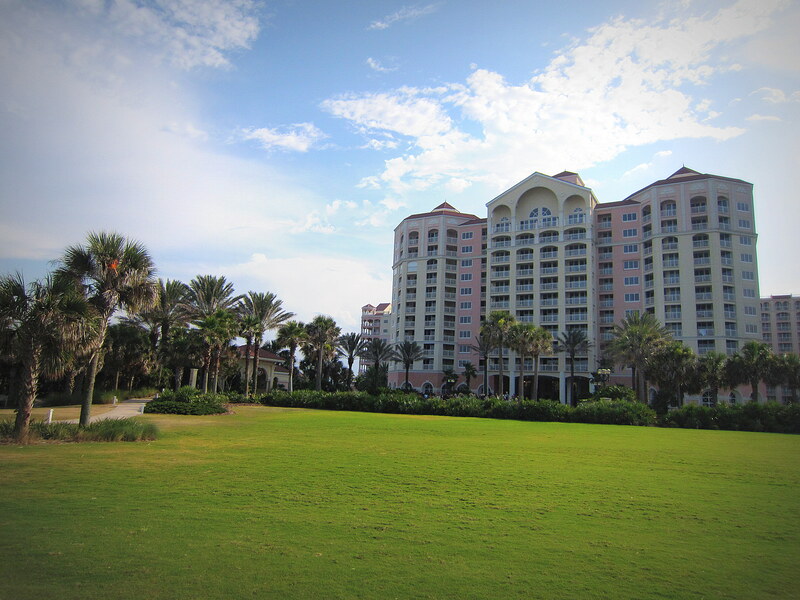 Hammock Beach Resort provides its guests with complimentary beach service. As we reached the boardwalk, we were offered beach towels and sunscreen. Then a young man helped us set up our beach chairs and umbrella, while other staff members were there to take food and beverage orders. Around noon time we decided that we’ve had enough of the sun beating down on us, and started heading towards the pool complex. 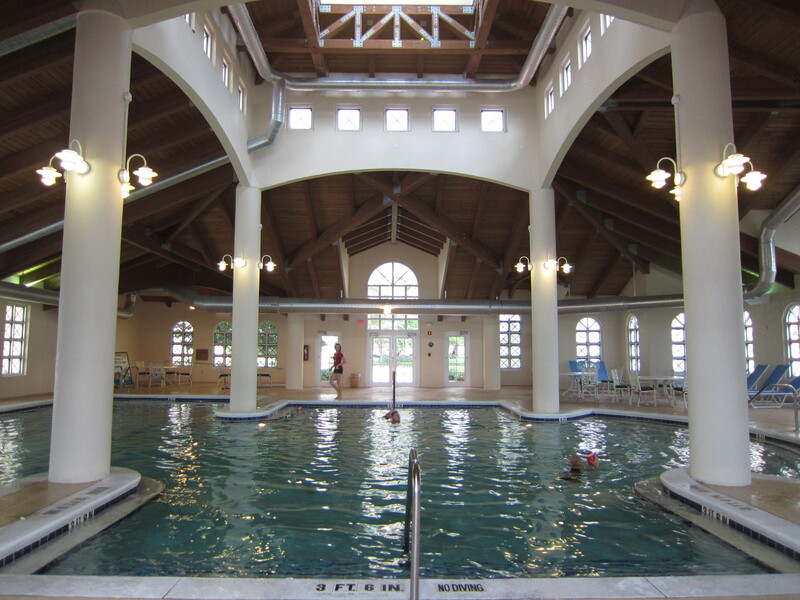 First up, we took a look at the indoor swimming area. And now, the moment that Johnny has been looking forward since the beginning of our trip has arrived. Let’s go play at the water park! After all, you’re never too old for this. But wait, we had to grab something to eat before getting into the water. So we chowed down on some Tex-Mex at the Ocean Bar & Cafe. Then he went down the slide twice! 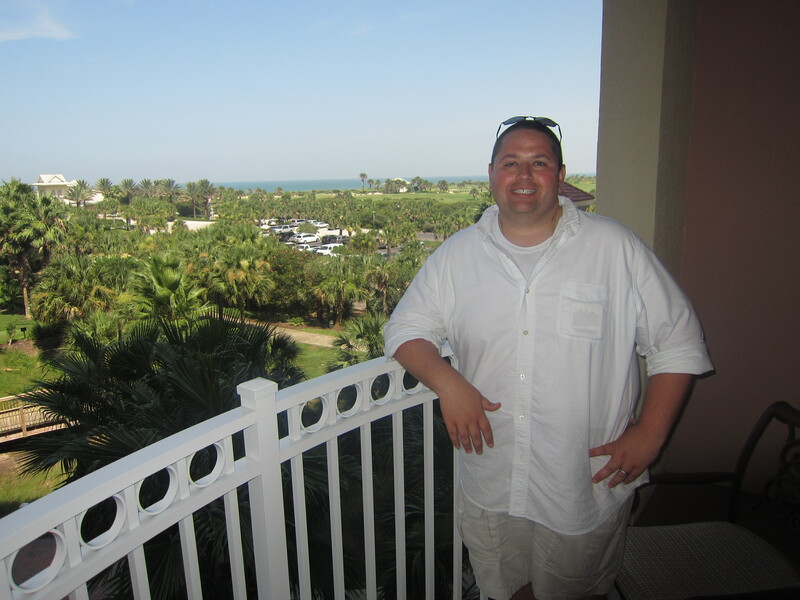 At the end of our two-night stay, we felt very refreshed and rejuvenated, thanks to all the fun we had at the Hammock Beach Resort. 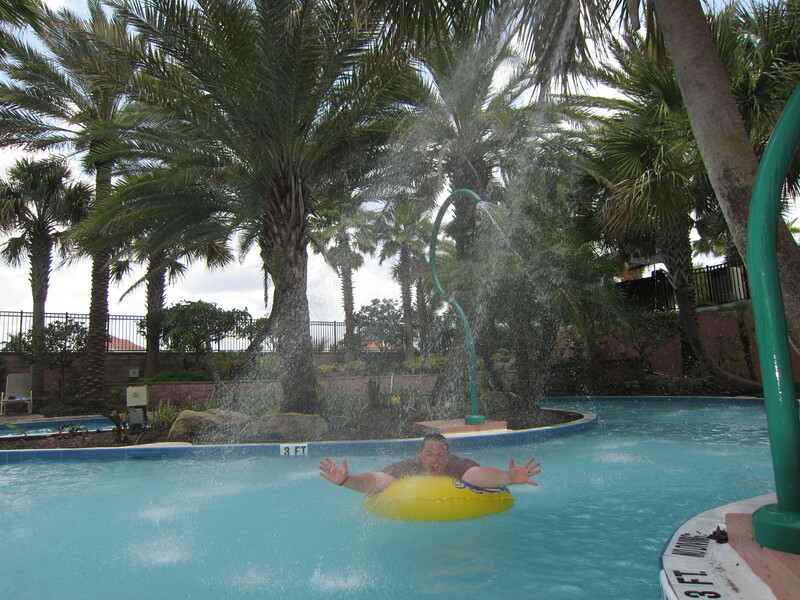 Although this resort is geared toward families, we never felt out of place or ran out of things to do. The town of Palm Coast also makes for a good home base to visit historic St. Augustine, Washington Oaks Gardens State Park, and Marineland. 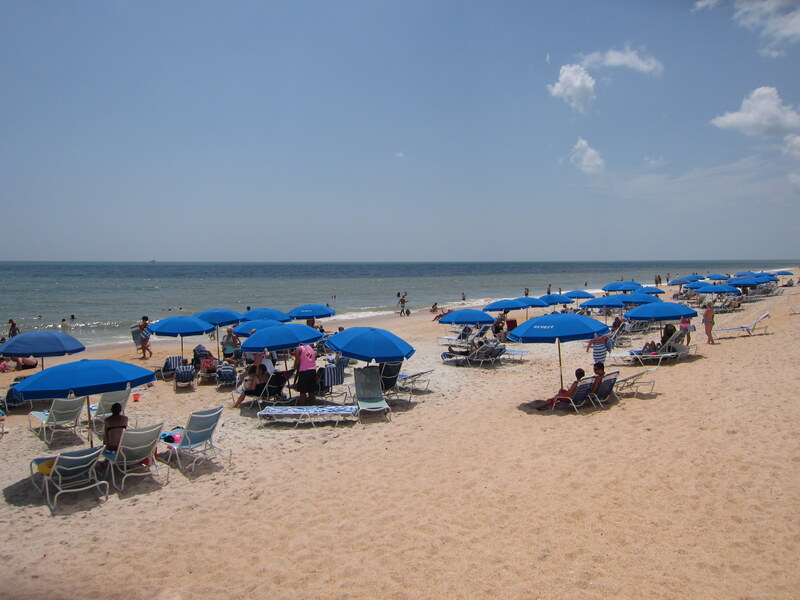 Next time you are in the Northeast Florida area, don’t forget to check out Hammock Beach! I was looking for blogs about Cinnamon Beach to share on our site and I came across your post…If you’re open to it, shoot me an email at jane(at)dwellable(dot)com.